Kids love ladybugs! This literacy unit taps into their natural curiosity and fascination of ladybugs. 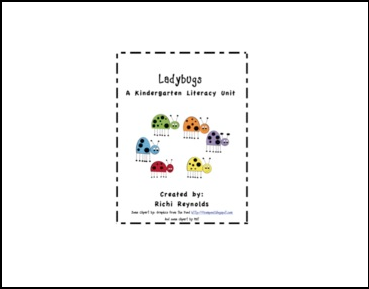 It includes an original story, Six Little Ladybugs, and lots of literacy activities your little ones are sure to love. It has letter, sound, sight word and numeral recognition, as well rhyming words, handwriting, graphing, comprehension and ladybug observation pages. I hope you enjoy using Ladybugs with your kiddos!